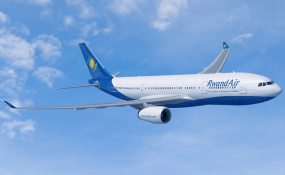 RWANDAN flag carrier, RwandAir has abandoned receipt of unstable bond notes and RTGS payment systems amid the continued rejection of Zimbabwe's much resented currency. In a letter addressed to its Travel and Trade partners, the airline said it also now required all transactions to be conducted at its Harare offices. "RwandAir would like to announce the decision to withdraw ticketing authority effective 24 January 2019 from Zimbabwe BSP. "We apologise for any inconveniences caused. "All ticket sales will be issued in United States Dollars and reissues will be done through RwandAir Harare sales office Point Of Sale machine with the use of validated charge form and passenger's passport copy," reads the correspondence dated January 22. It also states that only internationally issued credit cards will be accepted and all refunds will be processed through the finance department at the Head Office. Reached for further comment, Ada Magezu an official with the airline, declined to say anything on the matter. By dumping bond notes and RTGS, RwandAir joined the bandwagon of international airlines that have ditched Zimbabwe's surrogate currency whose value continues to depreciate when compared to the US dollar. Government maintains that the bond note is at par with the US dollar. Zimbabwe currently owes international airlines around US$132 million. Last year the airlines raised concern that government was taking too long to repatriate the funds. The debt has largely been caused by serious shortages of foreign currency being experienced in the troubled country.